The Caterpillar 2018 annual meeting is June 13. Vote AGAINST the pay package and FOR the shareholder proposals to enhance long-term value. Your vote can help make a great company even better. 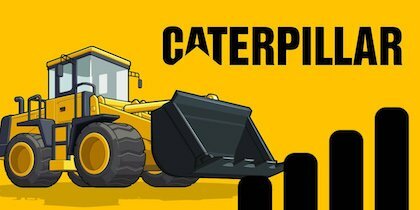 Caterpillar Inc. (CAT) manufactures and sells construction and mining equipment, diesel and natural gas engines, industrial gas turbines, and diesel-electric locomotives for construction, resource, and energy and transportation industries. Most shareholders do not vote because reading through 60+ pages of the proxy is not worth the time for the small difference your vote will make. Below, I tell you how I voted and why. If you have read these posts related to my portfolio for the last 22 years and trust my judgment, go immediately to see how I voted my ballot. Voting will take you only a minute or two and every vote counts. I voted with the Board’s recommendations 76% of the time. View Proxy Statement via SEC’s EDGAR system (look for DEF 14A). From the Yahoo Finance profile: Caterpillar Inc.’s ISS Governance QualityScore as of April 1, 2018 is 2. The pillar scores are Audit: 1; Board: 2; Shareholder Rights: 4; Compensation: 4. Corporate governance scores courtesy of Institutional Shareholder Services (ISS). Scores indicate decile rank relative to index or region. A decile score of 1 indicates lower governance risk, while a 10 indicates higher governance risk. We need to pay close attention to Shareholder Rights and Compensation. Egan-Jones Proxy Services recommends Against 1B) David L. Calhoun (overboarded), 1C) Daniel M. Dickinson, 1F) William A. Osborn, and 1H) Edward B. Rust, Jr. (10 or more years tenure, so is no longer considered independent). I understand their concerns but voted For all directors. I have no reason to believe the auditor engaged in poor accounting practices, or has a conflict of interest. However, Egan-Jones notes the auditor served the for seven years or more, so they should not be considered independence. Companies should consider the rotation of their audit firm to ensure auditor objectivity, professionalism and independence. I have not set a specific number of years. Caterpillar’s Summary Compensation Table shows the highest paid named executive officer (NEO) was CEO D. James Umpleby, III at $14.0M. I’m using Yahoo! Finance to determine market cap ($93.4B) and I am defining large-cap as $10B, mid-cap as $2-10B, and small-cap as less than $2B. Caterpillar is a large-cap company. According to the Equilar Top 25 Executive Compensation Survey 2015, the median CEO compensation at large-cap corporations was $10.3M in 2014, so pay was over that amount. Caterpillar shares outperformed the S&P 500 over the most recent one, two, and five year time periods. The ratio of the annual total compensation of the CEO to the median of the annual total compensation of all employees was 213 to 1. Egan-Jones Proxy Services takes various measures to arrive at a proprietary rating compensation score, which measures wealth creation in comparison to other widely held issuers. “Superior” is their rating given on compensation issues for Caterpillar and they recommend For the say-on-pay item. Given above median pay and my concern with growing wealth inequality, I voted Against the say-on-pay item. However, because of performance I did not vote against the compensation committee. This is my proposal, written on behalf of my wife. (James McRitchie for Myra Young) The proposal seeks to lower the threshold of shares needed to call a special meeting from 25% to 15%. E-J opposes moves to below 25%. Emergencies happen. Delaware law allows the threshold to be 10%. We think 15% is a reasonable compromise. It would still take both of Caterpillar’s largest shareholders to call a special meeting. Another consideration is that Caterpillar offers shareholders no right to act by written consent. CtW argues: “In our view, providing for recoupment only for accounting and financial reporting noncompliance is too narrow. We believe that recoupment is an important remedy for other kinds of conduct that may not cause a restatement, but may harm Caterpillar’s reputation and prospects. As well, it may be appropriate to hold accountable a senior executive who did not commit misconduct but who failed in his or her management or monitoring responsibility.” I agree. Frankly, the resolution could be better worded to be more like the Rooney Rule to ensure such candidates are in the pool and considered. However, I agree the need is high as Caterpillar. Proxy Democracy is still down. I am looking for contributions to bring it back to life. Proxy Democracy provided information on votes cast in advance of annual meetings by institutional investors at thousands of companies. If you think that is worthy of financial support, please contact me. As I write this on May 9, Proxy Insight had reported on Canada Pension Plan (CPPIB) and Texas Teachers, which both voted in favor of all items, including the shareholder proposals. Calvert voted against two director candidates, Trillium against all. Both voted for the auditor and against the pay item. Trillium voted against the stock incentive plan. Both voted for both shareholder proposals. Reduce Special Meeting Threshold: FOR. Require Director Nominee with Human Rights Experience: FOR. Proxy access ‘lite’ provision whereby a shareholder, or a group of only up to 20 shareholders, holding at least 3% of the outstanding common stock for at least three years may nominate one director, so long as the number of directors elected via proxy access does not exceed 20% of the board or two directors, whichever is greater. A proposal for action or the nomination of a director to be presented by any shareholder at the 2019 annual meeting of shareholders must be delivered in the manner and accompanied by the information required in our bylaws. If the proposal is to be included in our proxy statement pursuant to Rule 14a-8 under the Securities Exchange Act of 1934, the proposal must be received at the office of the Corporate Secretary on or before January 2, 2019. Our bylaws are available on our website. Shareholder proposals, director nominations and requests for copies of our bylaws should be delivered to Caterpillar Inc. c/o General Counsel and Corporate Secretary, 510 Lake Cook Road, Suite 100, Deerfield, IL 60015. Additionally, we request that you send a copy to the following facsimile number: 309-675-6620.